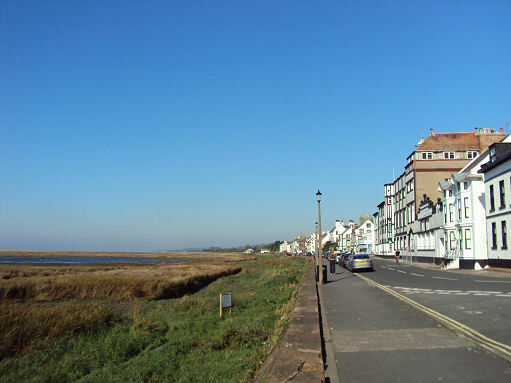 The village of Parkgate, on the Wirral Peninsula lies on the beautiful estuary of the River Dee and boasts bird watching, regionally famous homemade ice cream, sunsets and fresh local seafood, including shrimps and cockles. The village has stunning views across expansive marshland and beyond to the hills of Wales. 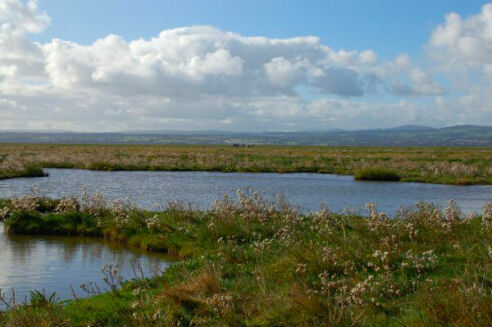 The marshlands of Parkgate are currently managed by The RSPB as part of the Dee Estuary Nature Reserve. The Dee Estuary is one of the largest and most important wetland sites in the world. Parkgate gained prominence in the eighteenth century as a port for Ireland due to the decline of Chester's importance as a port caused by the silting of the River Dee. It was to become a fashionable sea-bathing resort. *Commencing at the Old Baths car park at Gayton Sands Nature Reserve walk along the shoreline with the marsh on your left and the golf course on your right. At the break in the path just after passing a a beech hedge, join the road to join the Wirral Way. *On arriving at a road which cuts through the Wirral Way, cross over to a car park and continue along the route towards Neston. Pass one footpath sign indicating Neston Town Centre to the left and at the next footpath post leave the Wirral Way at a kissing gate, the signpost marked Old Quay. *Follow the line of the hedge line and at a galvanised kissing gate turn left to join a path which leads towards the shore. Turn right and follow a path that in places crosses streams by way of boarded footbridges. Join Manorial Road South at the end of the footpath. * At the end of the cul-de-sac a narrow footpath leads to a further street, follow this to a T-junction. Turn left and an access track leads to the main road. turn left again to rejoin the shore by the Old Quay pub. *Turn right along the front passing Mostyn House School. Continue on the pavement and where the road swings right, keep ahead past the Boat House pub to return to the car park.